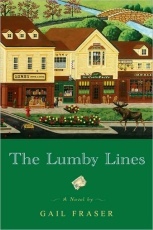 Other books in this series include: Stealing Lumby, Lumby's Bounty, The Promise of Lumby, and Lumby on the Air (coming Spring 2010). This series of books are amazing! !I was provided with the entire series minus Lumby on the Air, because it hasn't been released yet. Well that I know of. Trust me I'll be getting it when it does! You have such a diverse group of people that by the time you are done reading the books you want to move to Lumby. I mean who wouldn't love to live in a town where a dog (yes, I said a DOG!) could be voted mayor. You have nuns, monks, and regular folks mixing it up in a vineyard, hanging out out a remodeled once church now inn, trouble maker teens that make for an enjoyable book. If you want to join in the crazy, fun of Lumby you can go here to purchase them.